Get ready for a life-changing month! 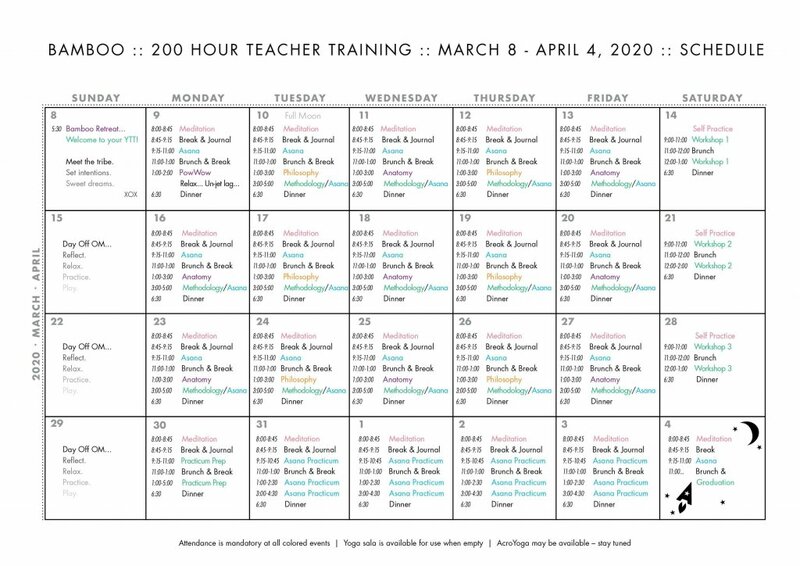 Our in-house 200 hour Teacher Training course is lead by our very own Jenn Russell, our resident teacher for the past five years, and the incredible Anna Sugarman, international yoga teacher, teacher trainer and retreat leader. 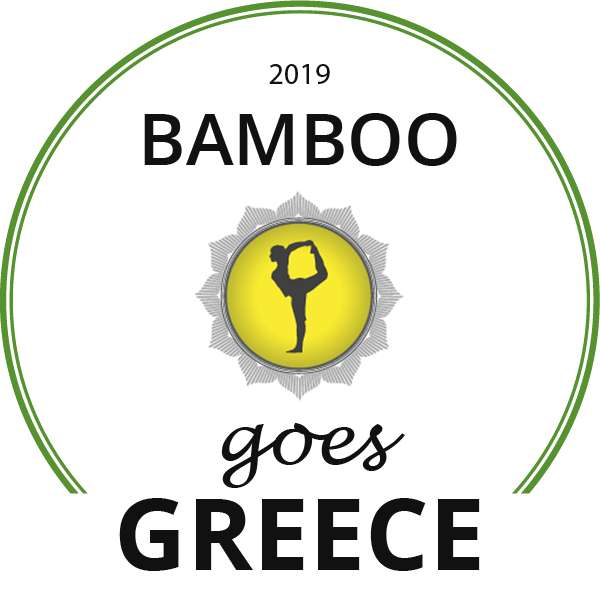 We hope you are excited to embark on a four-week journey of intensive study and practice, play and application, and gain a lifetime of benefits. 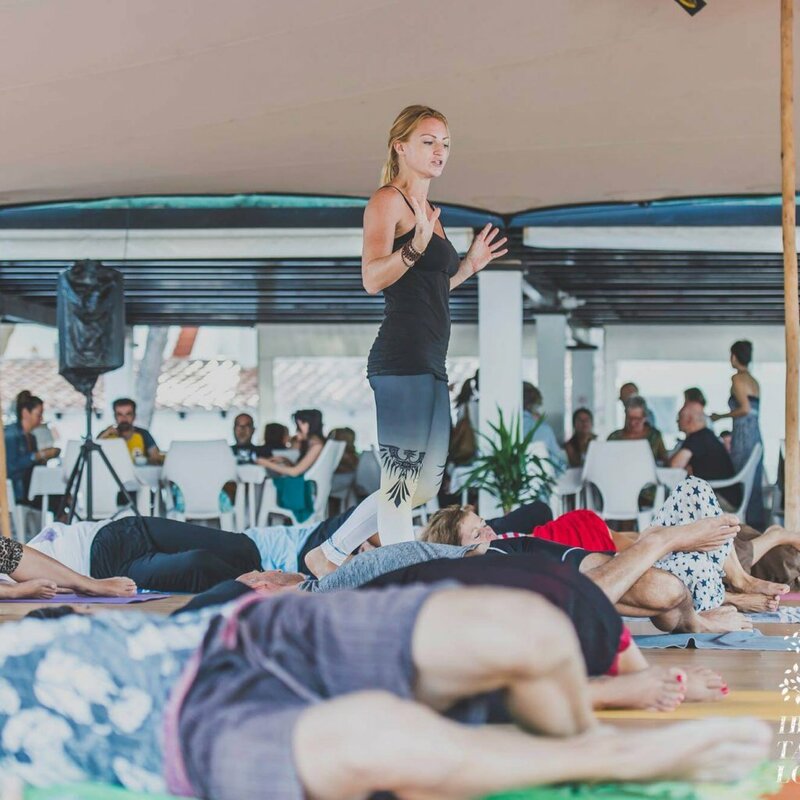 Our 200 hour yoga teacher training is for practitioners who want to develop their inner guru, expand their potential and effectively inspire others to lead a life of passion. Our intention is to power your purpose through a carefully crafted curriculum, with world-class teachers. 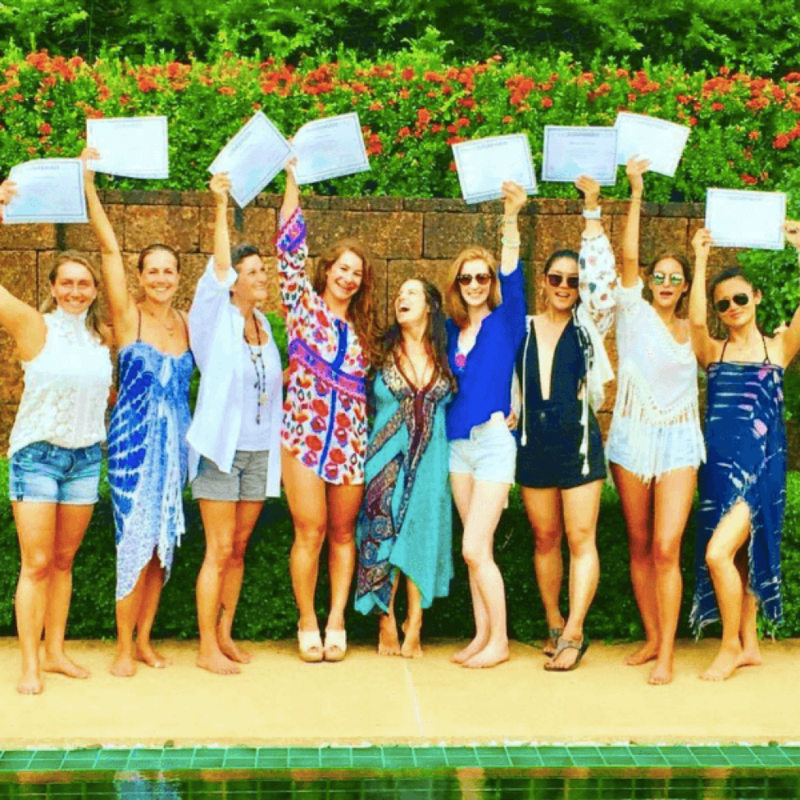 We will guide your cultivation of skills and curation of yogic and life lessons that will enrich the way you connect with the world around you. You will leave confident to share your practice and transform the lives of others. 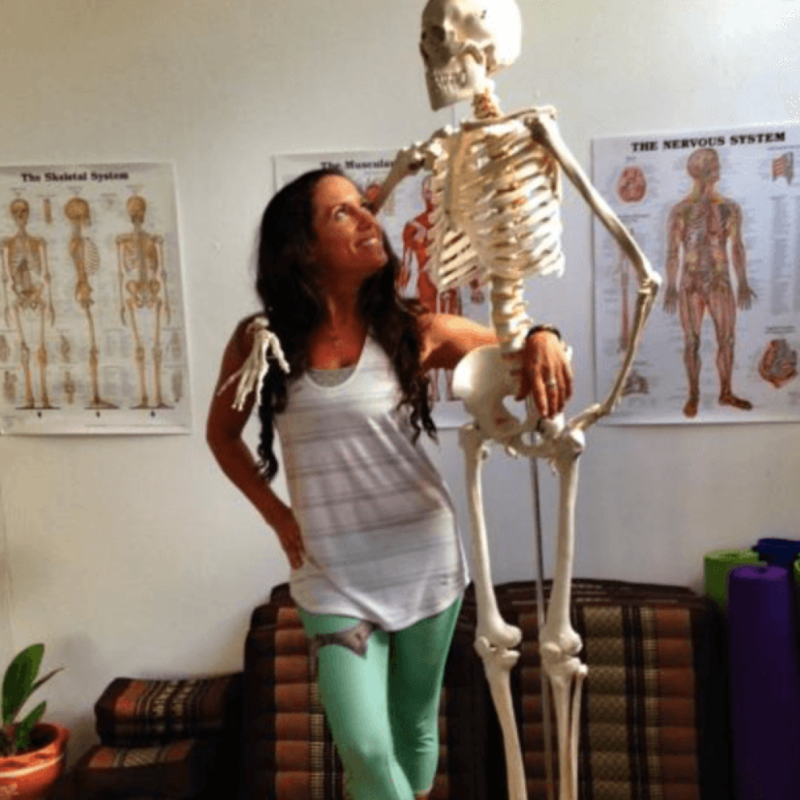 During this extraordinary four-week immersion you will build a powerful platform of anatomical, philosophical and adjustment-based knowledge from which to elevate your own yoga practice and guide others through classes that heal, inspire and inform. Both Jenn and Anna are known for their strong, inspiring vinyasa flow styles and passion for the practice of yoga. With a combined total over 30 years of practice and 20 years of teaching and running retreats and trainings around the globe, it is their pleasure to welcome you into their world, to pass on the creativity and traditions of yoga, and guide you to develop a deeper practice which you will be equipped to take off your mat into the world. Mornings begin with meditation, journalling and practice, followed by a hearty vegetarian brunch. Days are full of thorough study of the yoga postures, philosophy, methodology and more, taught by experts in their fields. Evenings conclude with teaching practice, specialist sessions and self-reflection before we join together for dinner on beautiful Patnem beach. On Sundays we will relax, absorb, and have time to explore magical Goa. In affirmation of the healing and preventative power of yoga as medicine – the study of asana relevant anatomy is essential to our trainings, and taught by Richard Husseiny, skilled sports therapist and Olympic strength and conditioning coach. Elements of Ayurveda and Traditional Chinese Medicine are included. Riveting philosophy is sprinkled throughout the entire course, to showcase the relevance of the ancient science’s texts, mantras and language to the modern practice and art of guiding. We’re super excited to have updated our course to sweetly merge the ancient radness with current Flow State science. We will support you in discovering your own practice, by helping define your truth and nurturing that – we believe it’s deep rooted passion which illuminates the joy that will maintain a strong self-practice, and the ability and authenticity to share it with others. You will learn how to teach the spiritual and physical practice of vinyasa flow, from your heart. The focus is on the individual voice – finding it and cultivating it by providing the practical knowledge and resources to make it effective. Learn to incorporate the elements of yoga into purposeful sequencing. Practice teaching and receive feedback. Develop your skills and confidence. Discover your individual potential and unique voice as a teacher. Our creative approach will prepare you to shine your extraordinary light – on and off the mat. 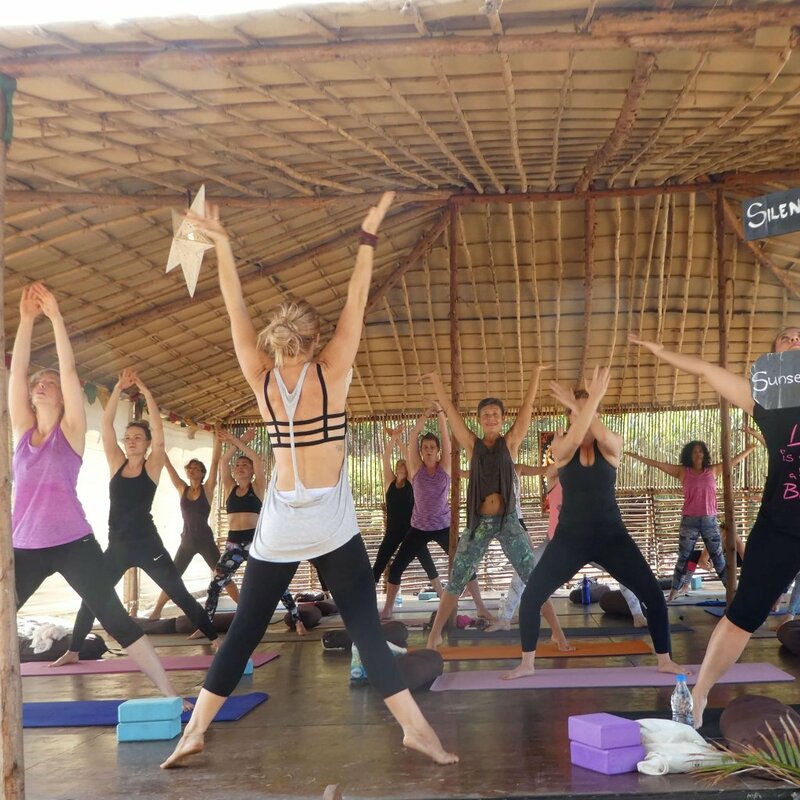 Our 200 hour trainings are 27 nights and 28 days of awesome… Practice, learn and play six days a week in our oceanfront shala… Take each Sunday off to enjoy the charm of Goa, the beach, and some quiet down-time. We believe that a good teacher training doesn’t rush the process. It allows time to fully immerse, reflect and absorb the teachings. And we deeply wish for you to really enjoy Goa and all it has to offer! 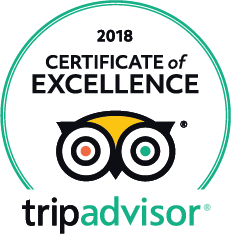 It is our heartfelt intention for you to leave with heightened awareness, expanded confidence, elevated relaxation – ready to take the teachings of yoga home with you.